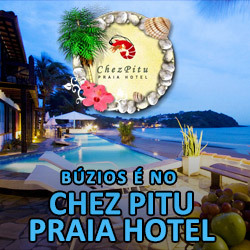 Búzios has its origin in a small village which was once inhabited by Indians, Portuguese and French pirates. The village was also a slave trade point. But it was the passage of the French diva, in January of 1964, that put the village on the map of international tourism and of glamour. Since then, its beaches have gained prominence in the world and the peninsula was nicknamed the "Brazilian Saint-Tropez ". For decades, the resort has become sophisticated and gained fame because of the charm of its lifestyle and busy nightlife. During the summer and on holidays the buzz is intense day and night. In the off season, Búzios is the perfect haven for lovers of good food, arts and nature. 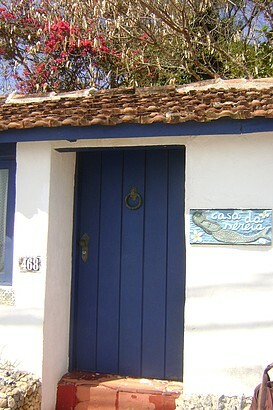 The charm and beauty of Búzios is ancient history. The resort town was already patronized by high society in the 50s - the moneyed class came seeking the rustic charm and privacy of the small fishing village. The trip was an adventure, arrived at by a precarious dirt road. 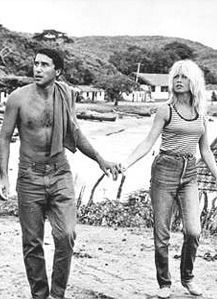 Brigitte arrived at the village in 64 brought by her Brazilian boyfriend Bob Zagury. In 76, it was Rolling Stones’s singer Mick Jagger’s turn to indulge himself in the village, playing guitar on the Canto beach for fishermen and a group of local teenagers - including actress Alexia Dechamps and photographer Olivia Guimarães. Exotic as always, Jagger arrived in town in a limo, which narrowly escaped from getting stuck in the sandy streets of the village. The charm of Búzios is not ensured only by its natural beauty. It’s also present in its architecture, which follows a unique style, starting with the height of buildings - thanks to a 1970 law, none can be higher than two storeys. The style, which includes rustic and handmade materials like wood, is seen in the summer homes, inns and even in shops and in restaurants. Even the city’s entrance porch exhibits the architectural trademark. The tradition was continued, in part, by the actions of two renowned Búzios architects: Octavio Raja Gabaglia and Hélio Pellegrino. In the works signed by the artists – restaurants Don Juan, Patio Havana, Boom, Buzin, among others – the prevailing features are reclaimed wood, soaring ceilings and the simplicity of the charming fishing village that conquered the world. Another beautiful - and simple - example of local architecture is the church of St. Anne, which sits on top of a hill on the Ossos beach.